Here is important information you need to know about this event. If you are a youth from 6 to 16, you qualify. 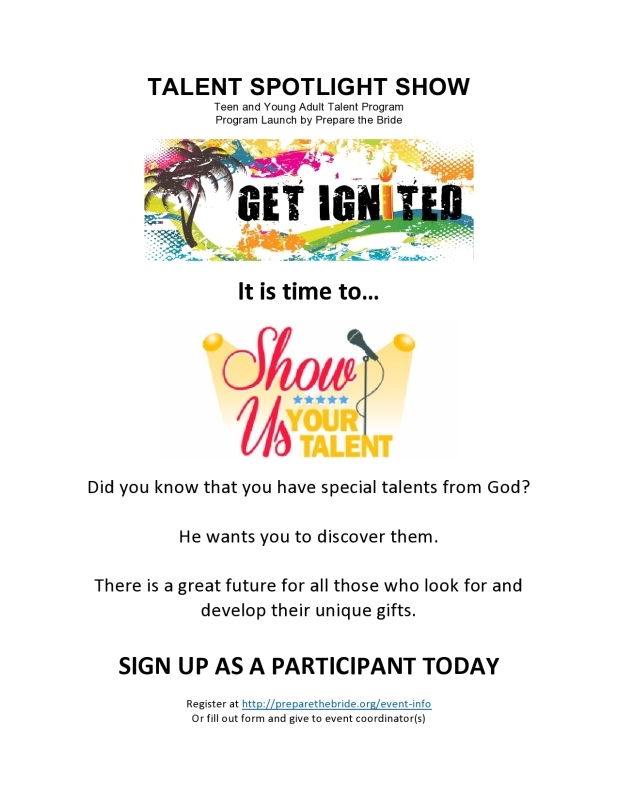 Somewhere within you is a God given talent or gift and ability that He wants you to share. This is your chance. 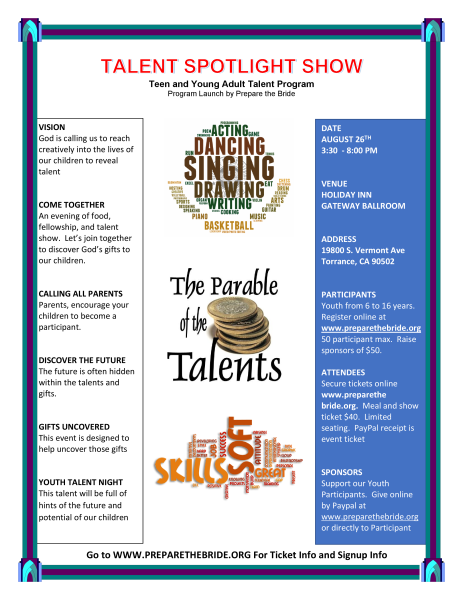 This includes a very wide range of talents, crafts (of all kinds), music, art, sewing, moulding, or any other area of specialty you may have. Also, there will be prizes. 5 winners from age group 6 to 10. 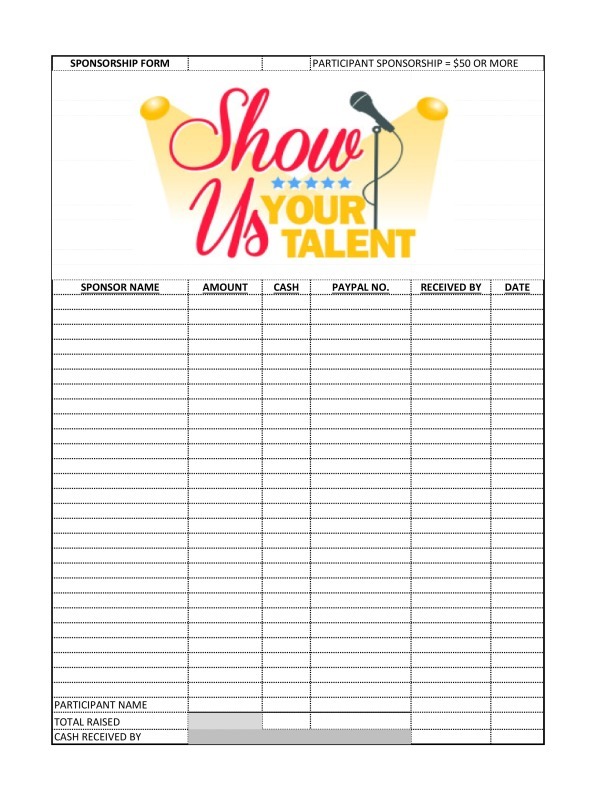 If you want to participate, fill out the registration form below and be sure to describe the talent you want to perform. Our event planner will call you to discuss the details. SIGN UP. 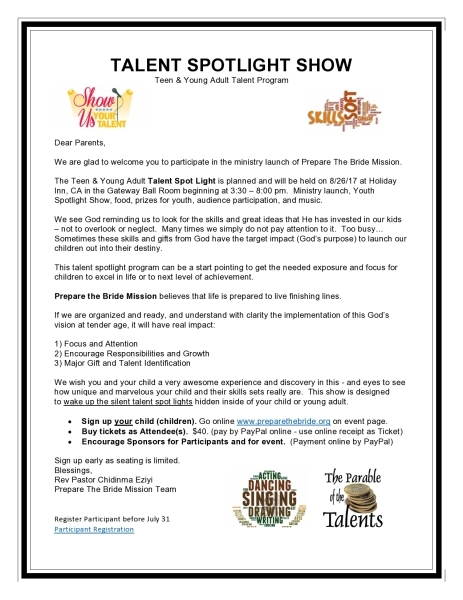 Fill out the Registration Form below online. 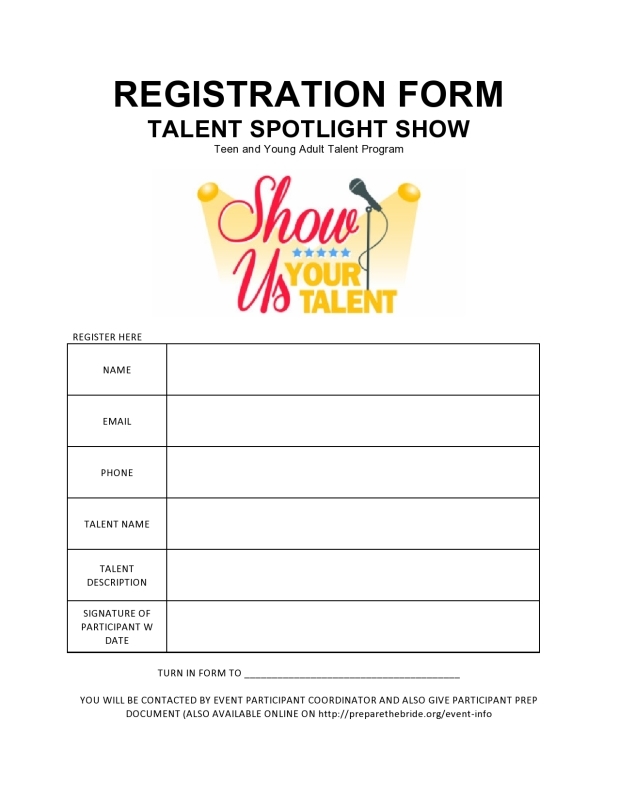 OR download, print and fill out paper Registration Form and give to the Event Coordinator. INVITE YOUR FAMILY AND FRIENDS to come to the event. Seats are limited. Buy tickets online. Family and friends. This will not be an event to miss! This event includes food, drinks, entertainment, prizes (for participants), audience participation, and rich fellowship. Tickets are $40 each. 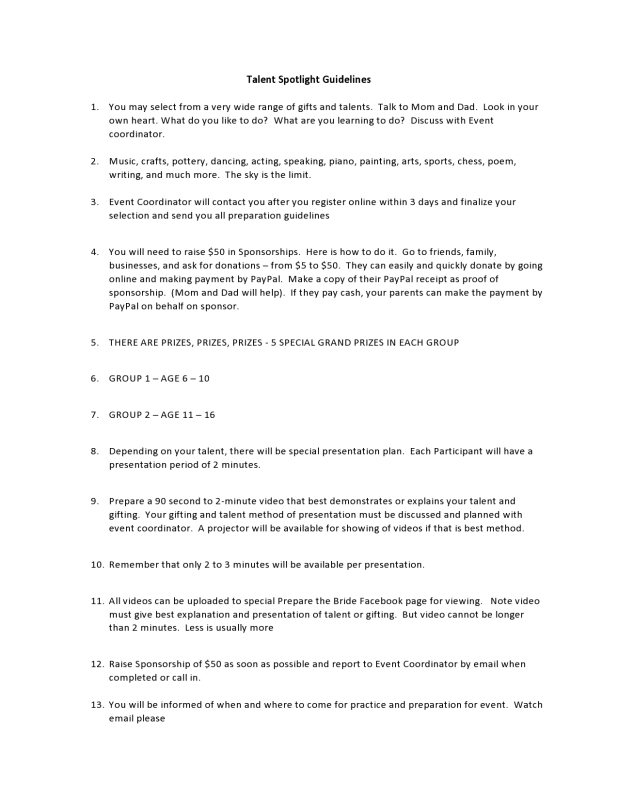 Make cash payment to Event Coordinator. Each participant needs to raise $50 in sponsorships for the event. 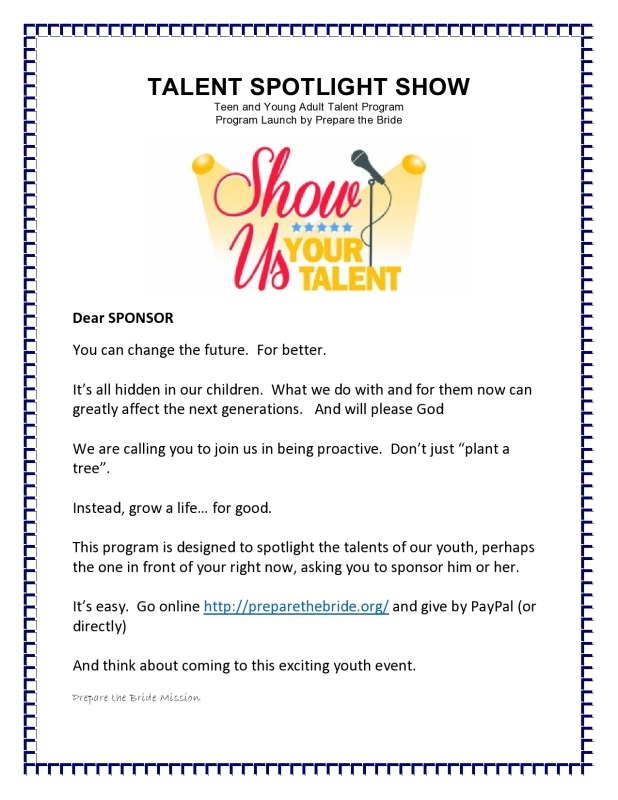 Support the future of a particular YOUTH PARTICIPANT or simply support the event (and ones to come). Fill out the form to the right. It will go directly to the Event Planner by Email and they will contact you very soon.